Fyrish is a folk music duo from Cromarty in Scotland with a repertoire of traditional and contemporary songs and tunes. 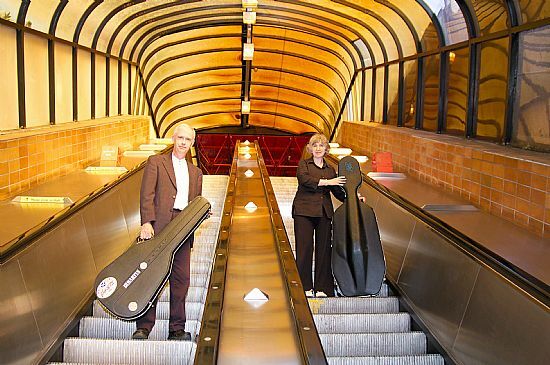 Cello and guitar blend together to create the settings to a great variety of folk songs. 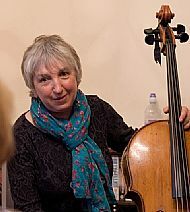 Marjorie Paterson is a cello player, originally from the Black Isle, who grew up in a house which was always filled with music. Marjorie has a natural gift for music and harmony and loves to play a wide range of styles. 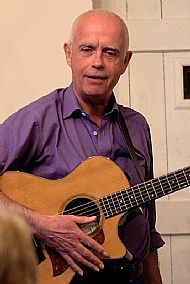 David Cowan is a singer and guitar player, originally from Glasgow, who has been singing all sorts of folk songs for most of his life. Dave has a relaxed, easy style with a mellow voice and sincerity in delivering a song. 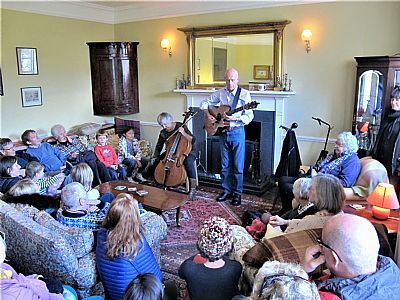 “FYRISH are a refreshingly different folk duo…Dave Cowan is from Glasgow, a gentle, subtle singer possessed of an intriguing mellow voice..
Marjorie Paterson is originally from the Black Isle and plays the cello beautifully….